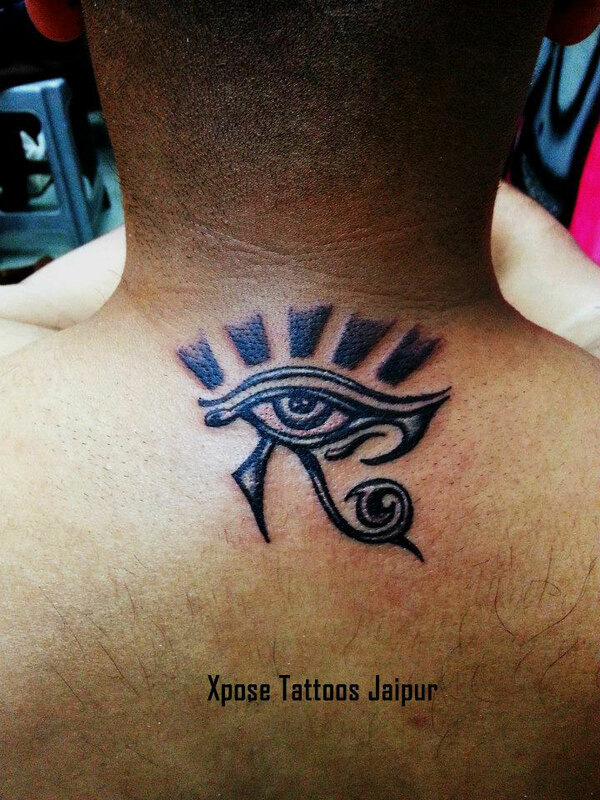 Xpose Tattoos offers a wonderful Tattoo experience like no other Tattoo Studio in India. 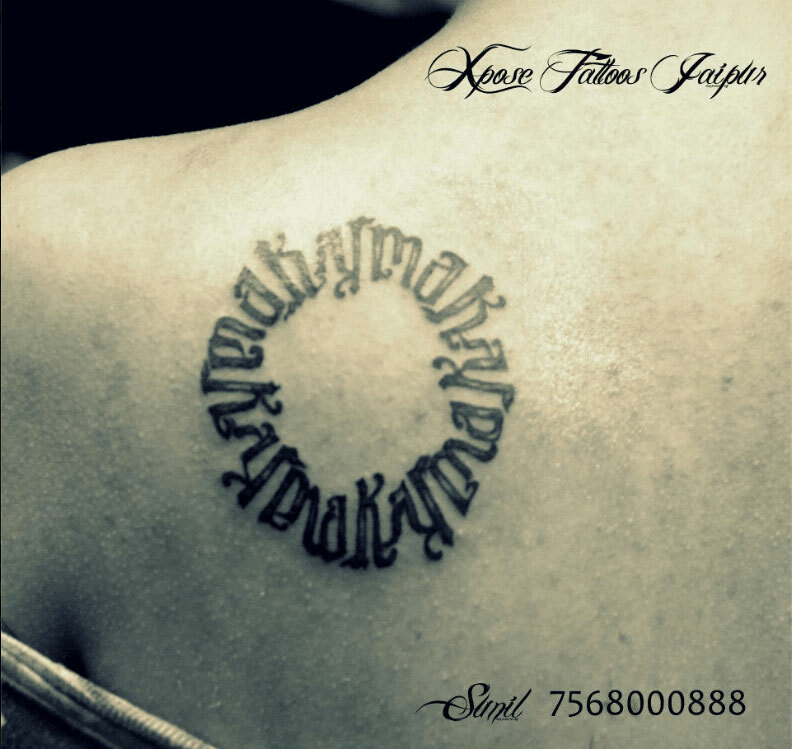 INDIA'S BEST tattoo studio! 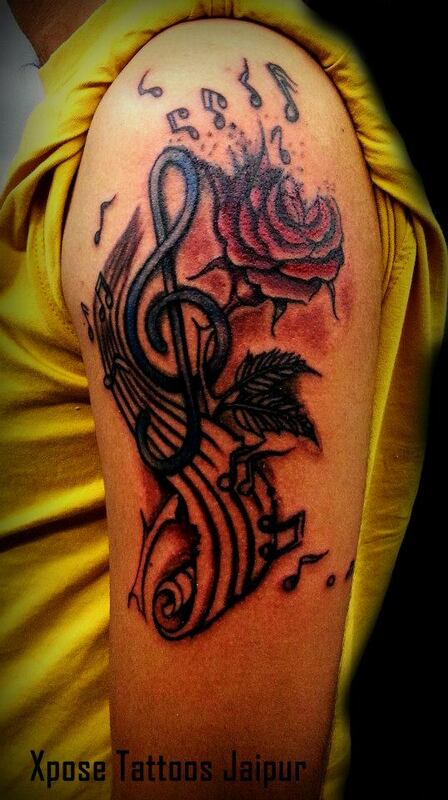 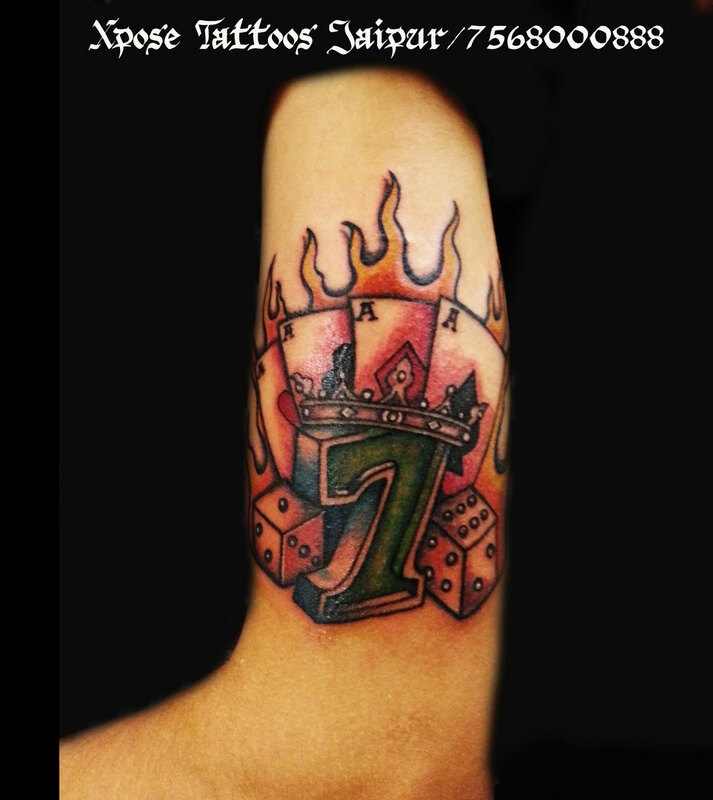 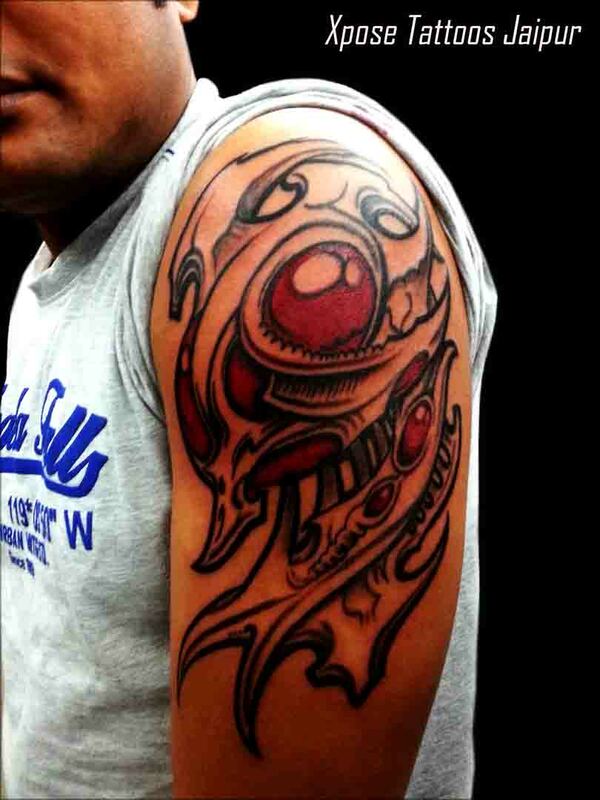 We provide a wide range of tattoo designs with artists that are willing to work with you on any design idea. 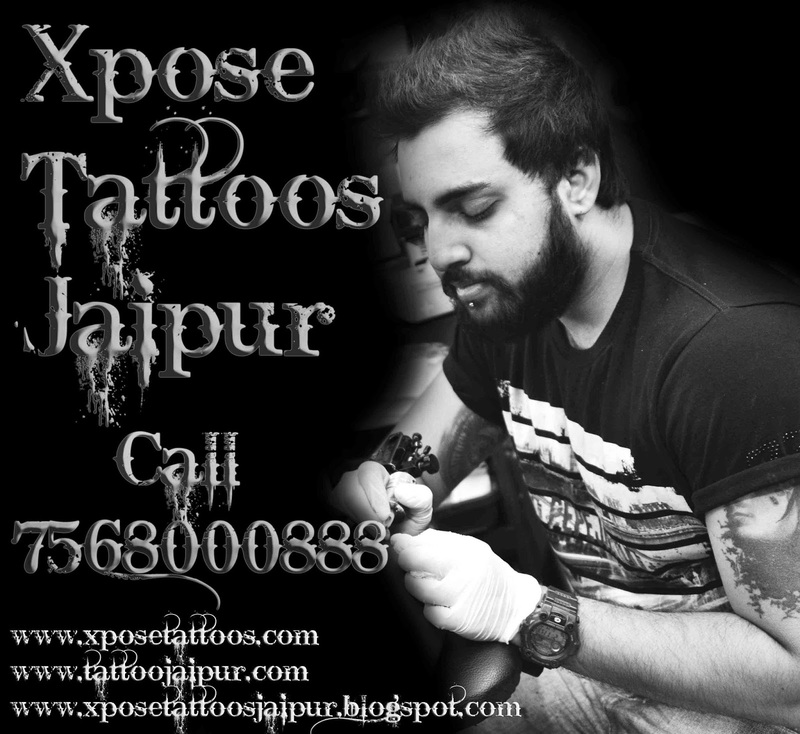 We have stayed course to provide the highest quality tattoo work in a professional,hygienic and sterile environment. Our Tattoo Artist in Jaipur Sunil prides himself in being able to cover all tattoo styles, including portraits in Jaipur, Rajasthan , India. 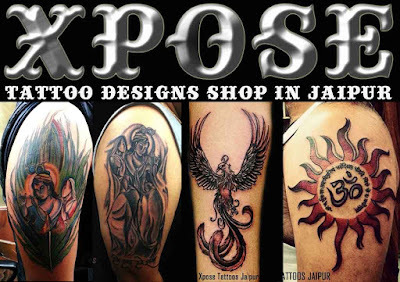 100% Unique & Custom Made Tattoo art as Individual and as special as the person you are! 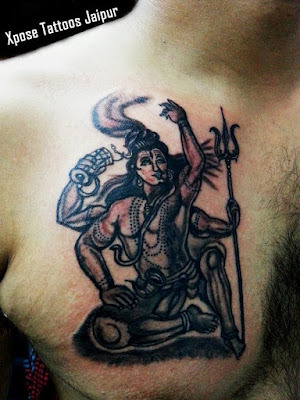 Realistic Tattoos, Portrait Tattoos, 3D Tattoos, Lord Shiva Tattoos, Dotwork Tattoos, Everything Tattoo Related. 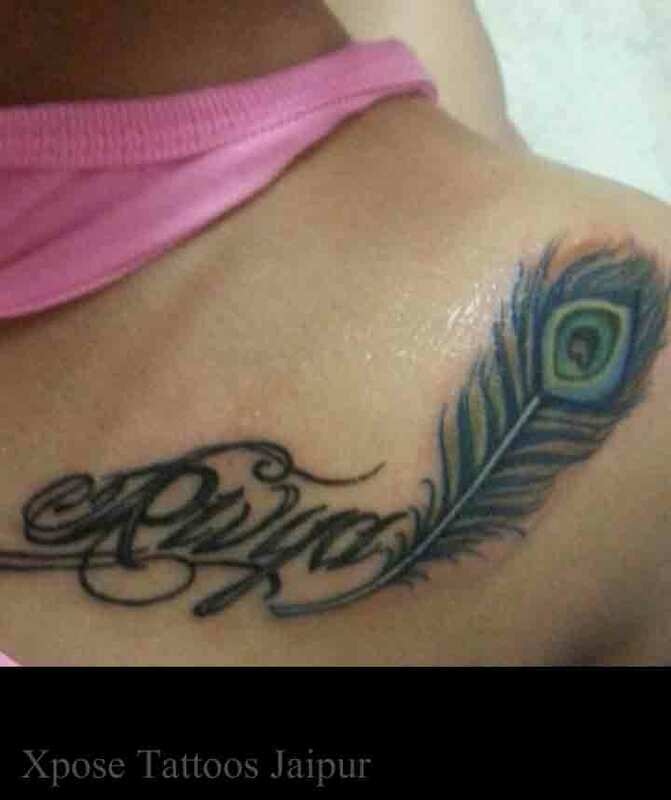 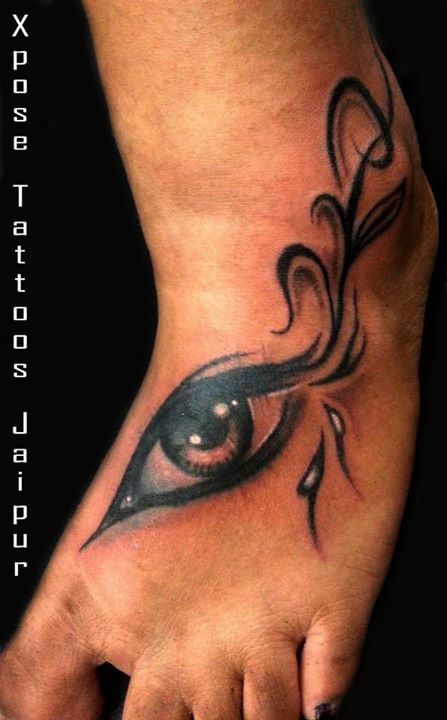 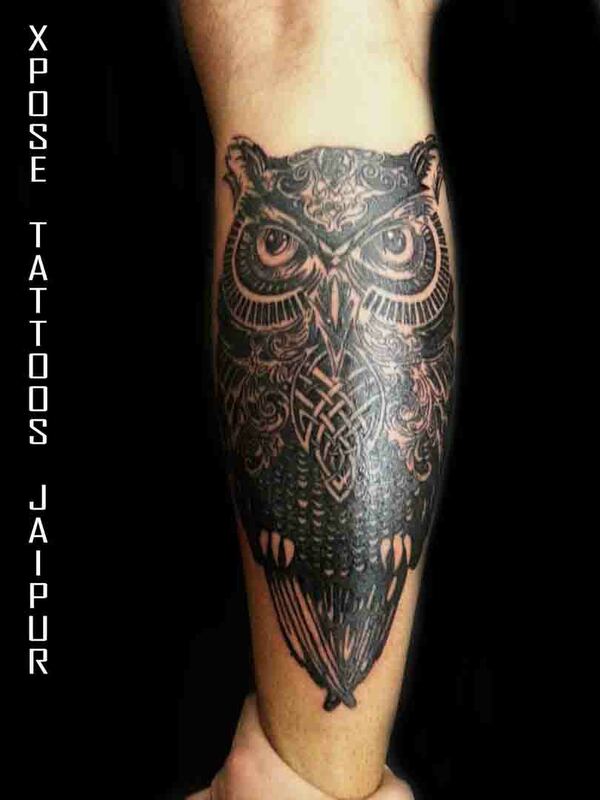 Client came to Xpose Tattoos Jaipur looking for a Phoenix Tattoo. 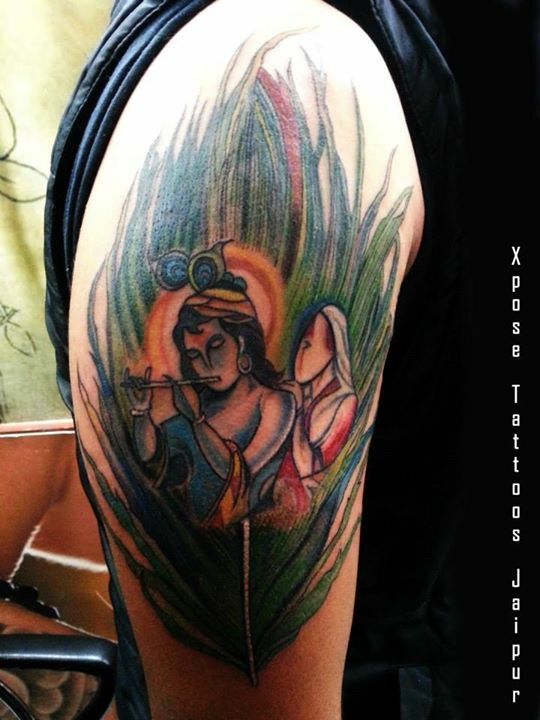 She wanted it to be colourful, sleek , feminine with a lotus. 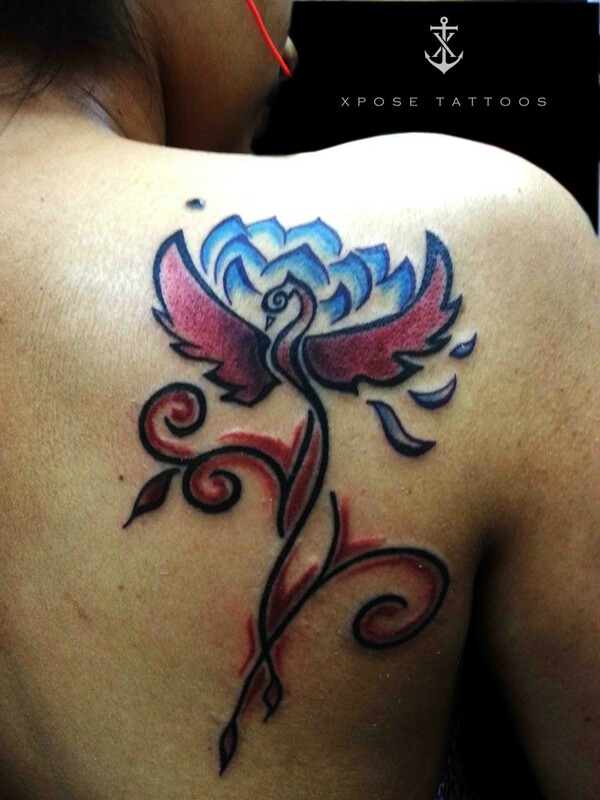 Xpose Tattoos Artist Sunil designed this beautiful colored Phoenix Tattoo for her to be placed on shoulder blade. 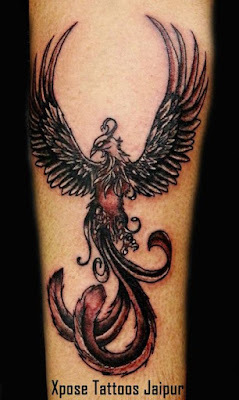 Phoenix is a legendary and mythological bird and it represents rebirth, strength, longevity. Phoenix tattoos are the best tattoo designs from all bird tattoos. 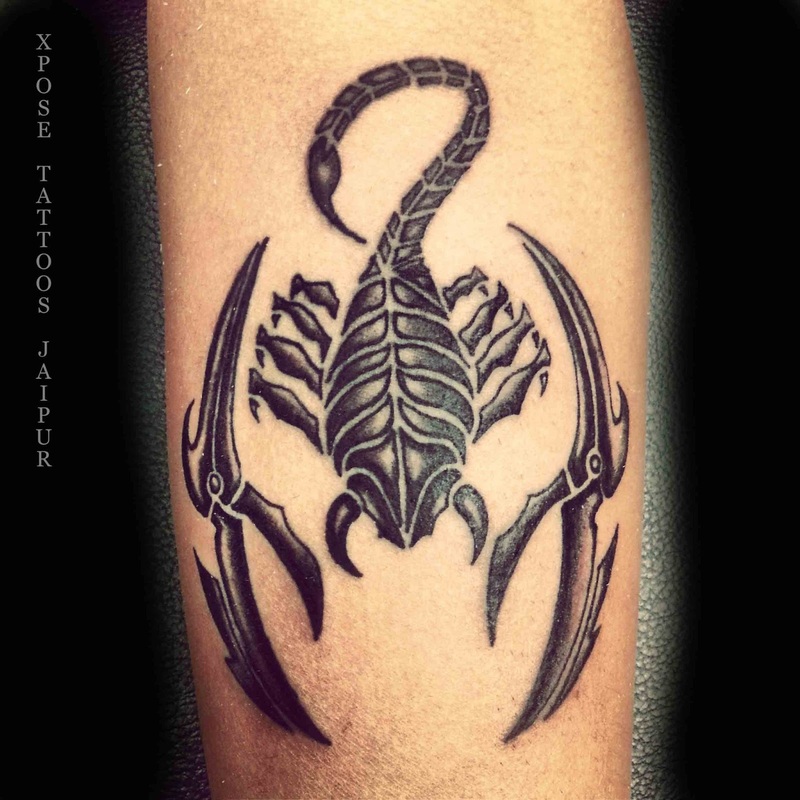 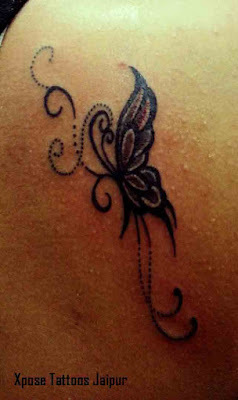 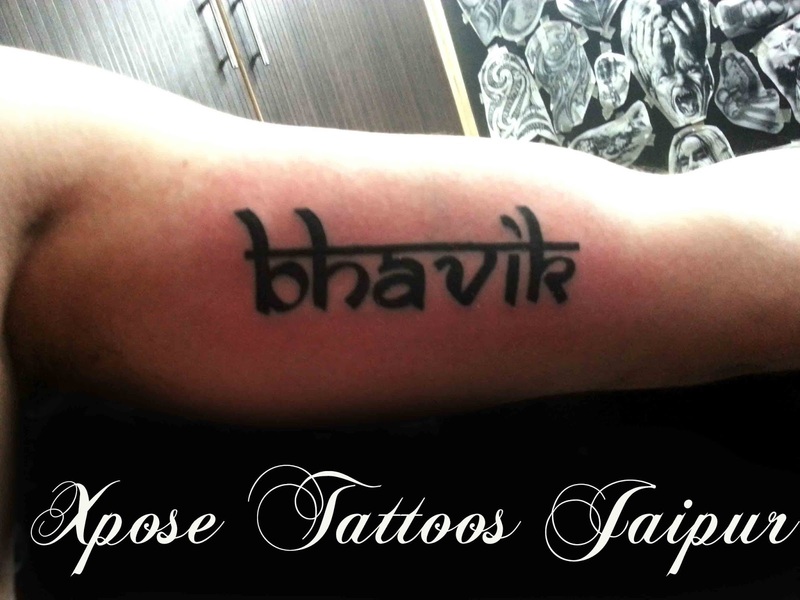 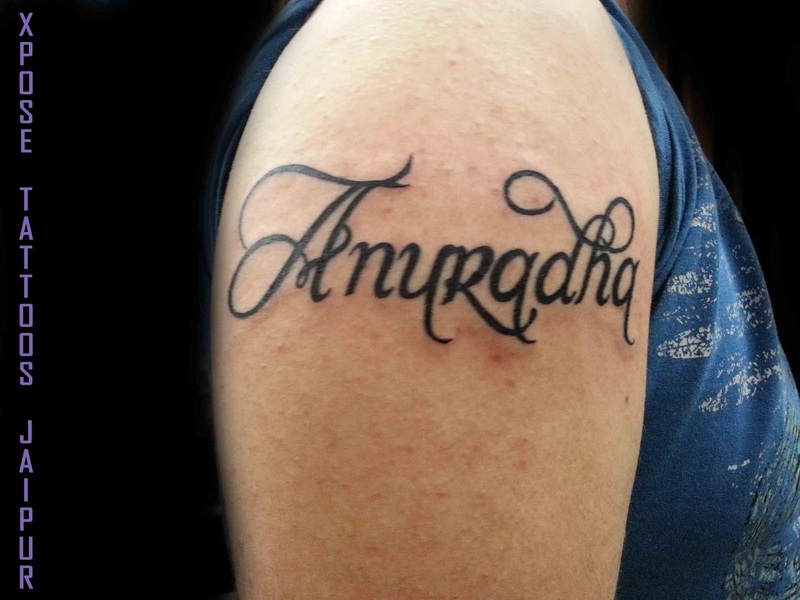 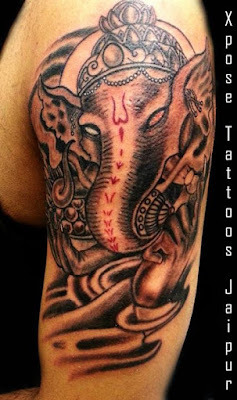 We ensure safe tattoo environment in our Tattoo studios in Jaipur, Rajasthan, India. 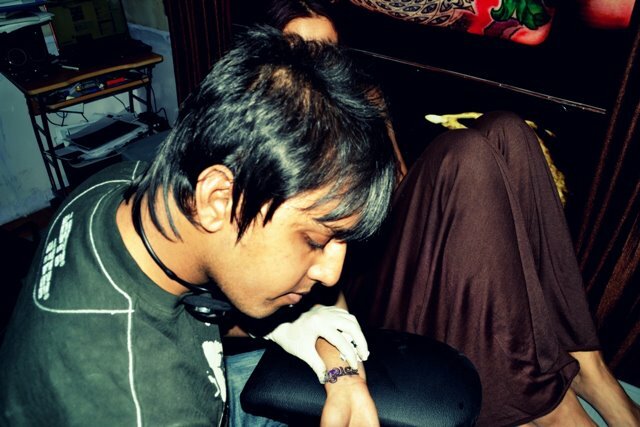 Special attention is always given to studio and equipment sterilization. Making a permanent Tattoo is like performing a surgery, so most of the equipments and products we use like tattoo needles, inks, grips, tips, ointments, gloves are of disposable nature. For non-disposable products like Tattoo chair-furniture etc. 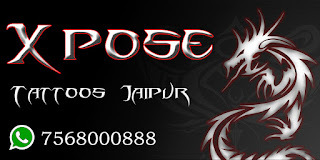 we use disinfectants and sterilization equipment which are ISO certified and meet international medical standards. 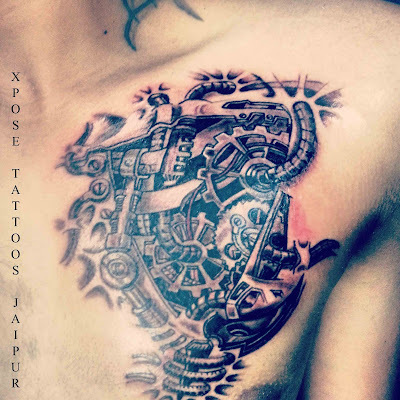 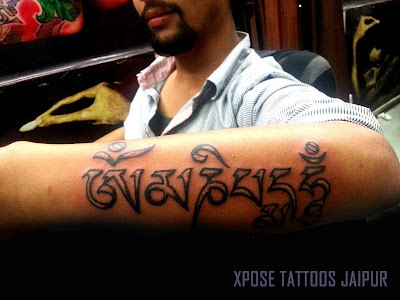 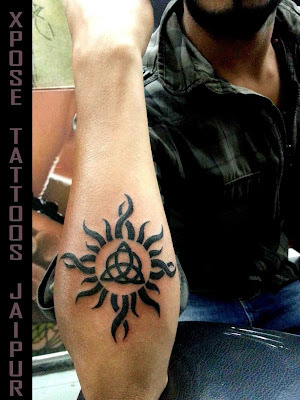 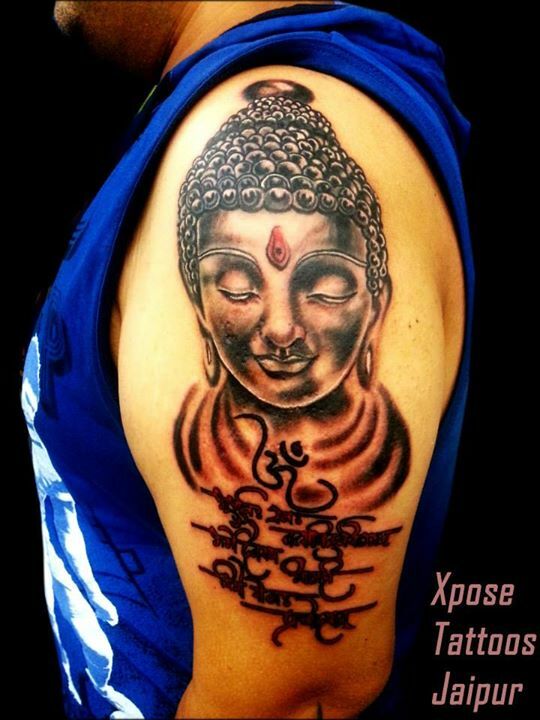 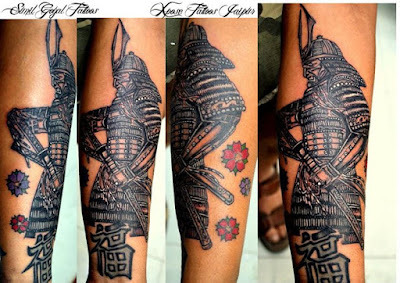 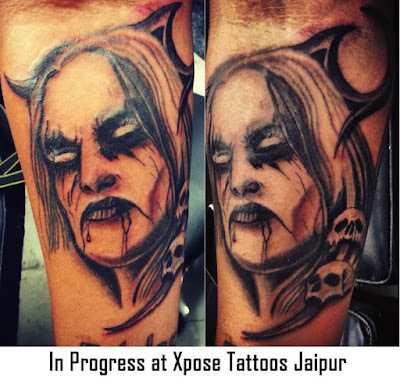 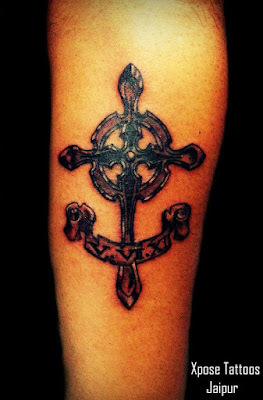 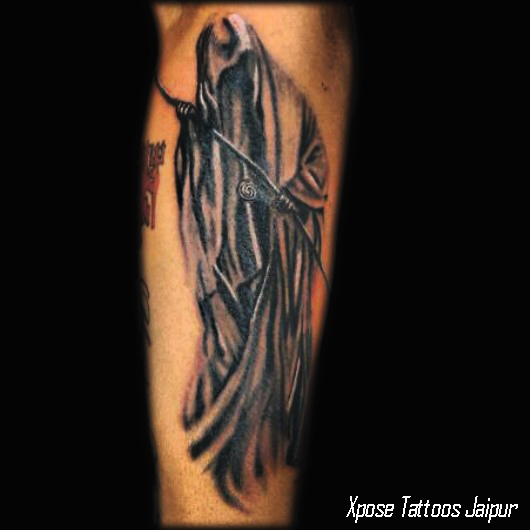 Xpose Tattoo Design Studio is devoted and is tirelessly engaged for the growth of Tattoo Art in India. 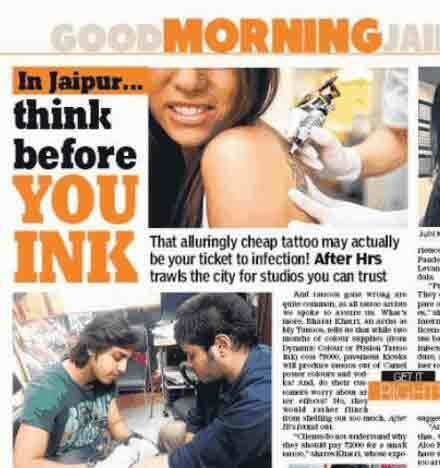 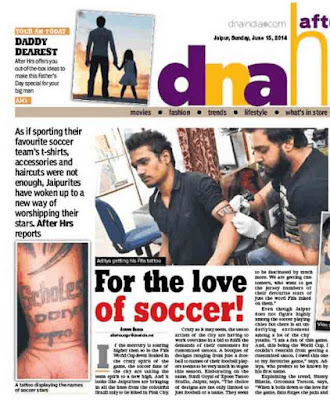 We observe that all metro cities of India have already acknowledged the potential of the tattoo art. 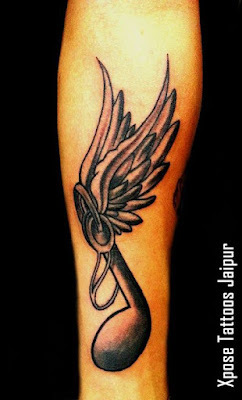 Providing necessary information to anyone who needs will surely help this art getting the deserved Love and Respect. 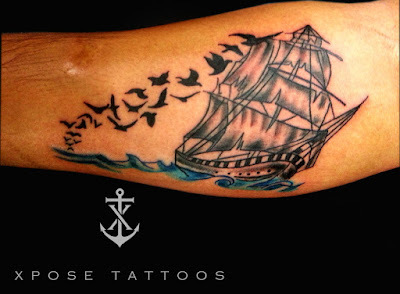 Client came to Xpose Tattoos Jaipur looking for a Ship Tattoo, Xpose Tattoos Jaipur's Tattoo Artist Sunil designed this beautiful ship Tattoo with flying birds. 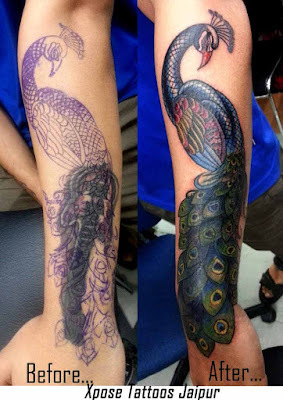 Artist and the client both had good enough time to select the design for the forearm. 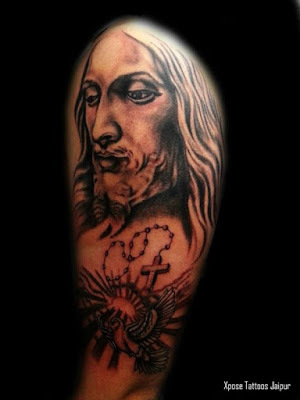 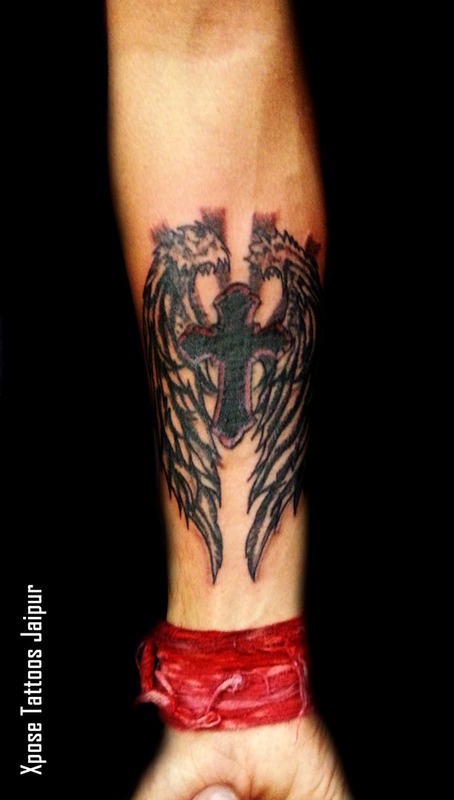 Client shared the idea of what and how he wanted the Tattoo to be openly. Overall the tattoo took 2-3 hours from scratch to completion and here is the result of it. Tattoos India, Tattoo in India, Best Tattoo Artist India, Best Tattoo Shop in India, Best Tattoo Studio in India, Tattoo in Jaipur, Tattoo Artist in Jaipur. 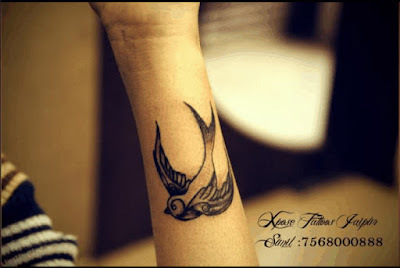 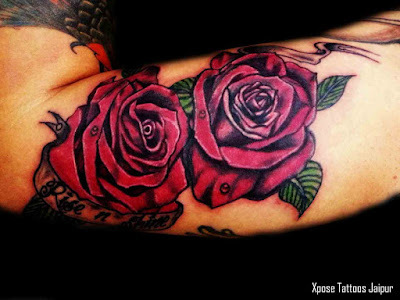 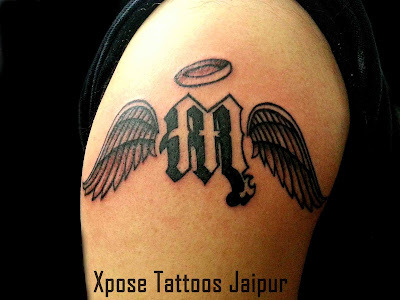 Welcome to Xpose Tattoos India, one of the leading parlour for Tattoos In India. 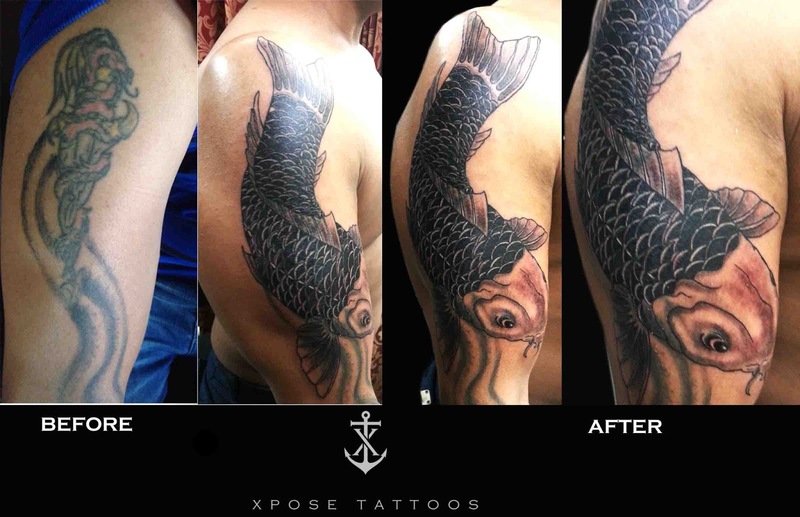 Client came with an old Tattoo that was done 10-15 years ago and he wanted to cover this old Tattoo with a new one, Xpose Tattoos India's Tattoo Artist Sunil designed this beautiful Koi Tattoo design and used it to cover the old Tattoo. When the Tattoo was finished, client was satisfied and happy with the cover up job. 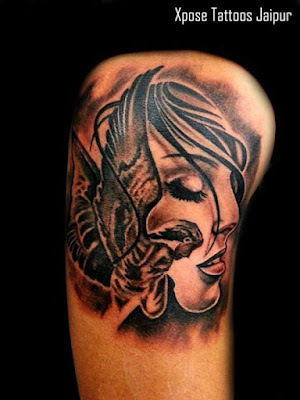 It is just in black ink but as you can see the shading work is impeccable. In Japanese culture, a Koi is a symbol of good luck and Fortune. 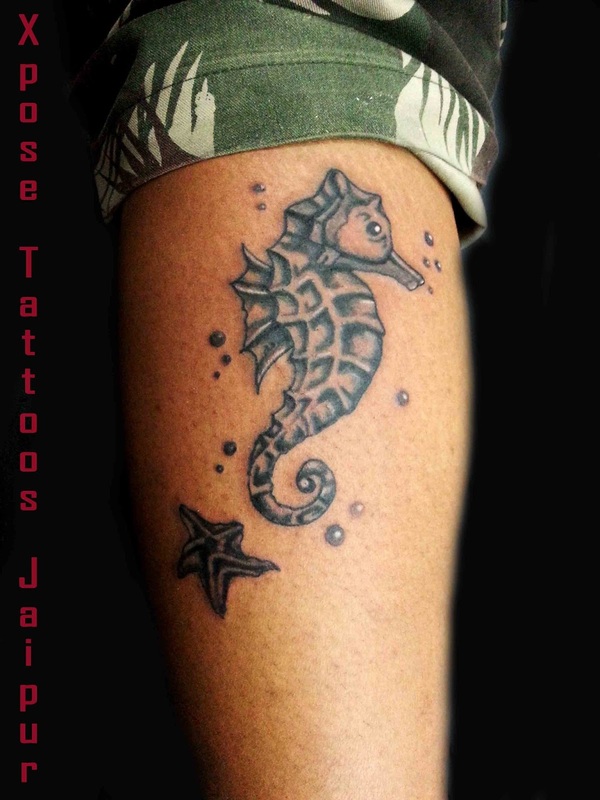 A koi Tattoo is regarded as one of the most popular and beautiful Tattoo Design. So many times koi tattoo designs combine these pretty fish with splashing water, lotus or cherry blossom to create a wonderful effect. 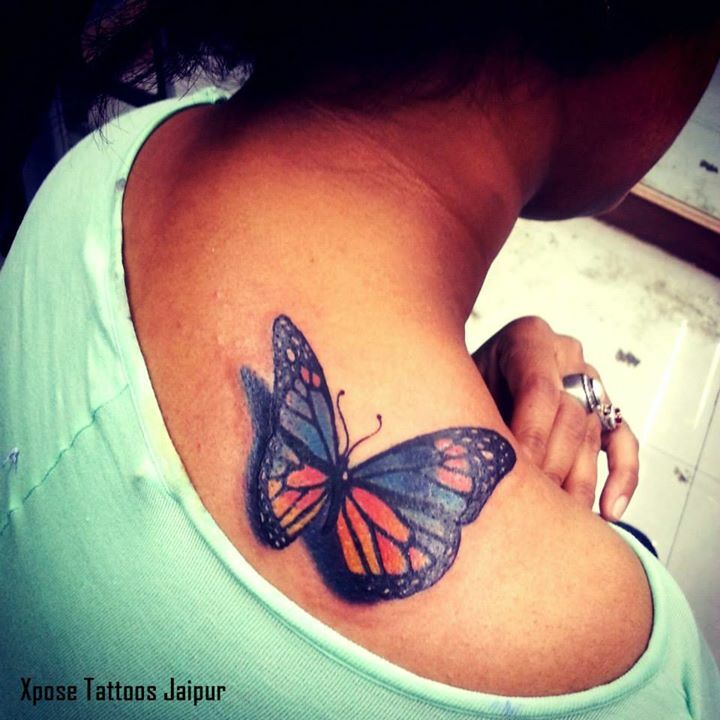 It is also symbolic of ones aspirations to become something bigger and better in life. 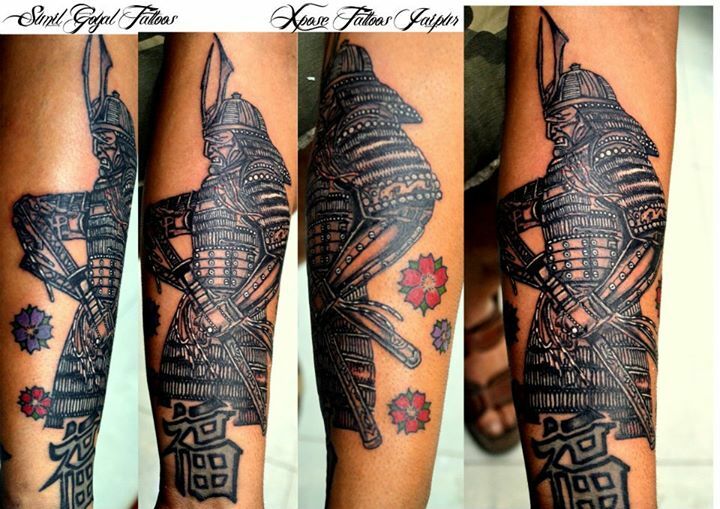 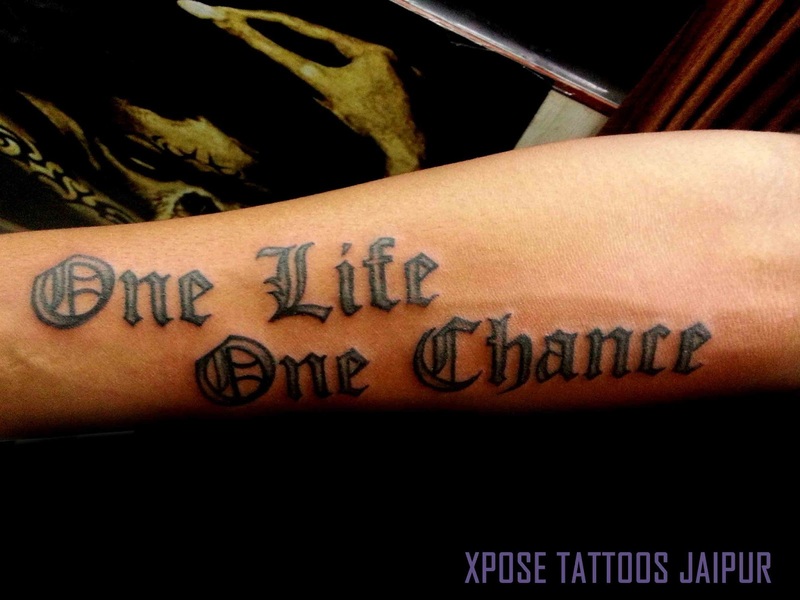 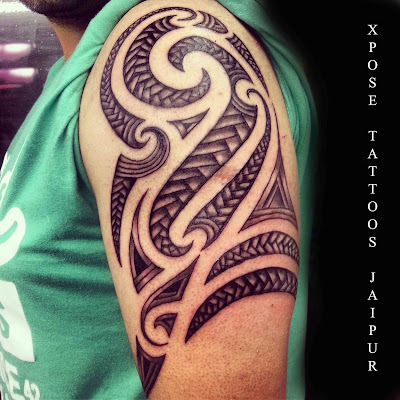 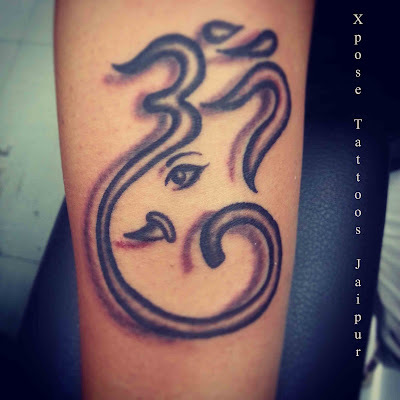 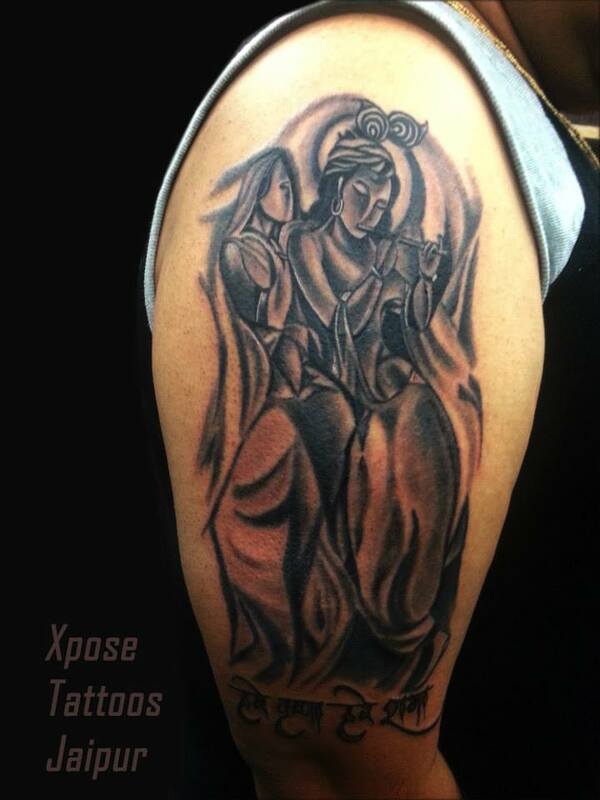 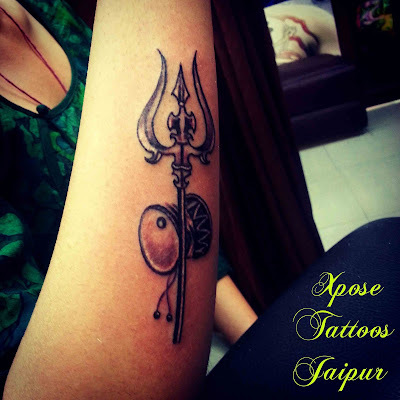 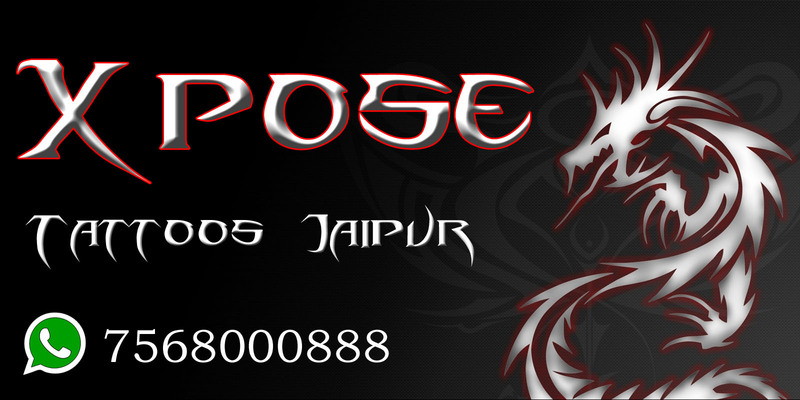 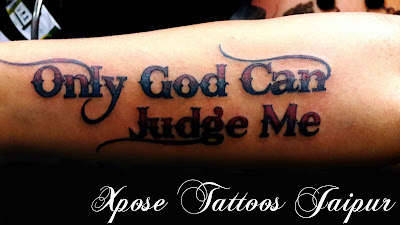 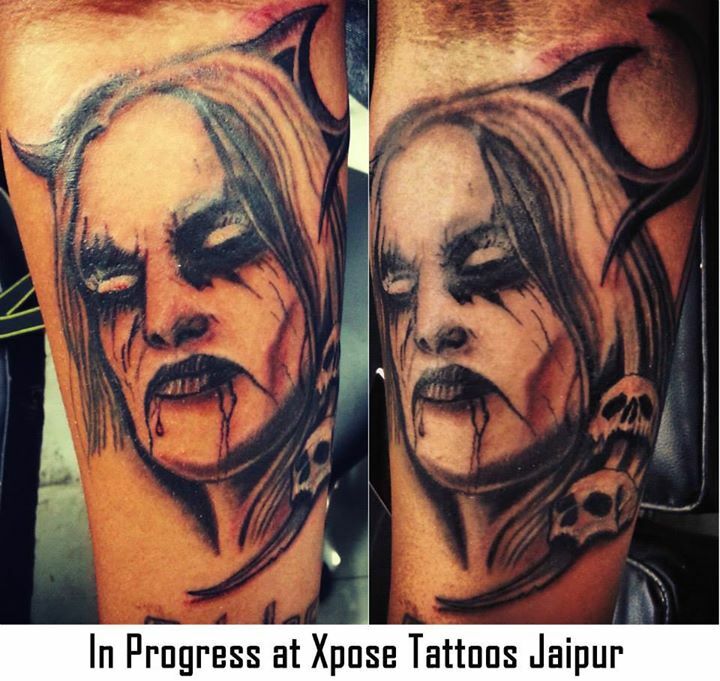 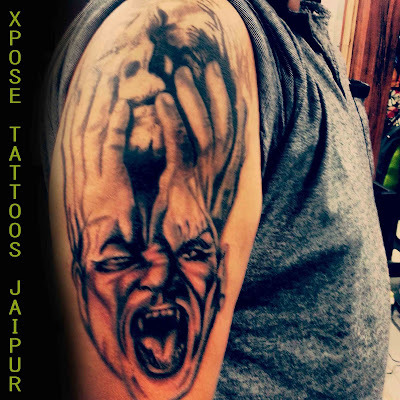 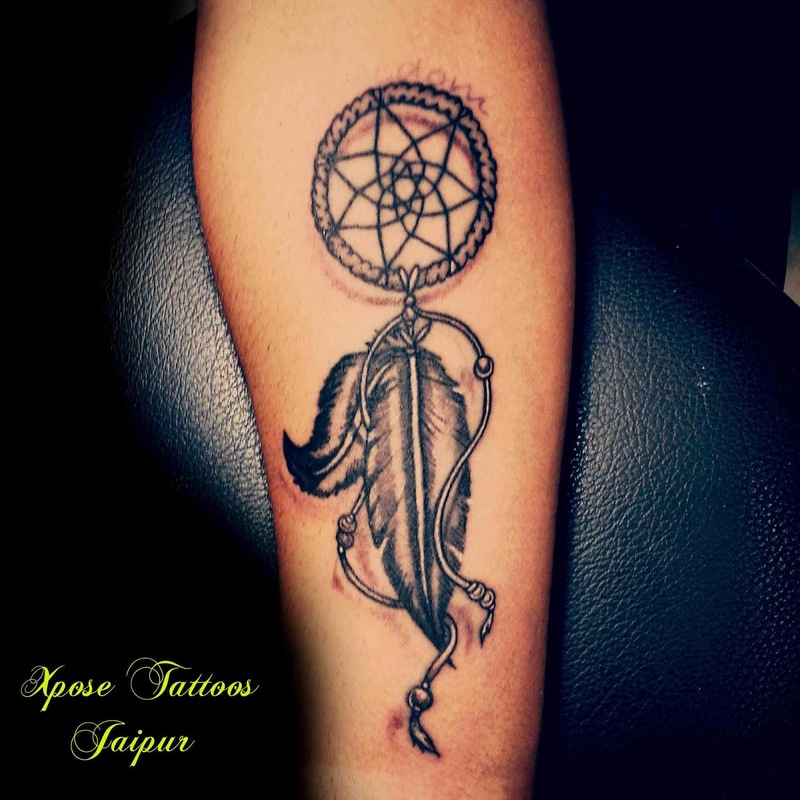 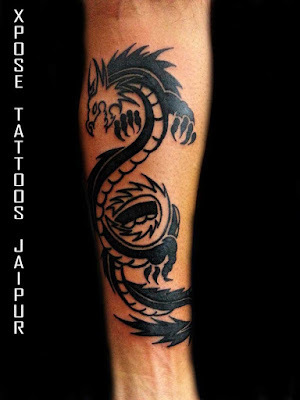 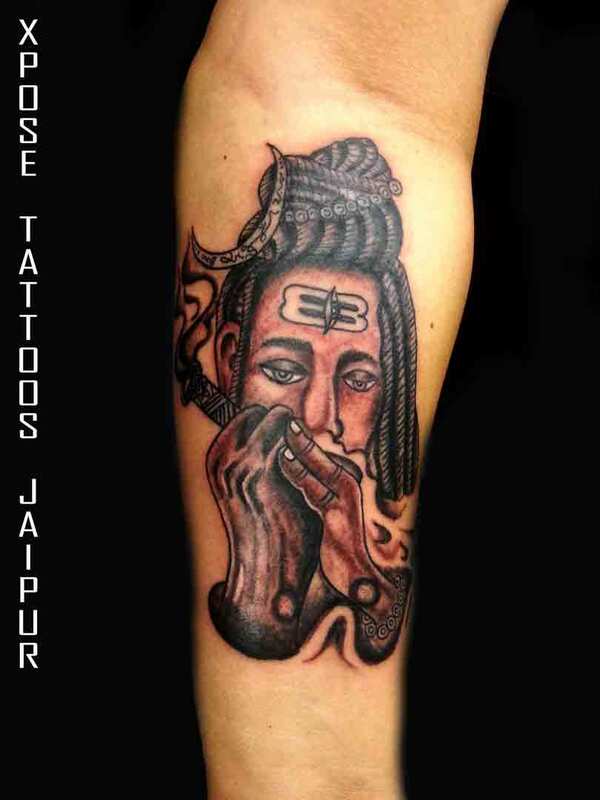 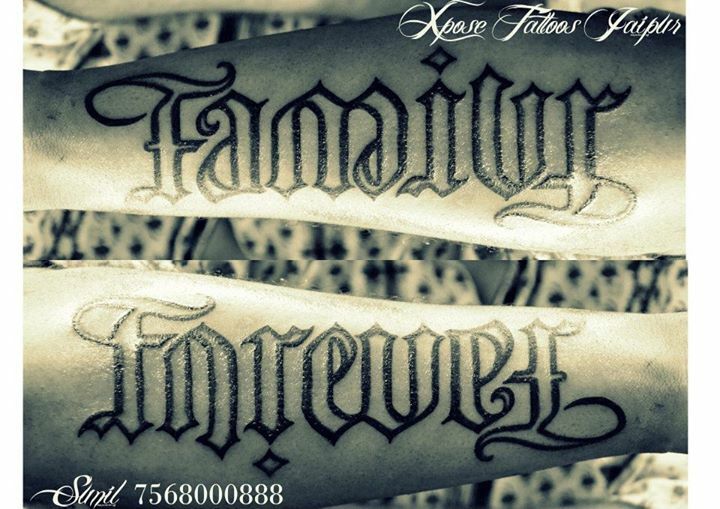 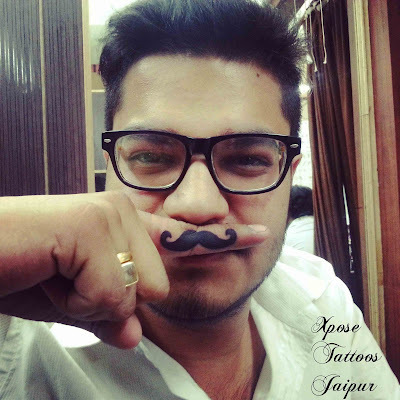 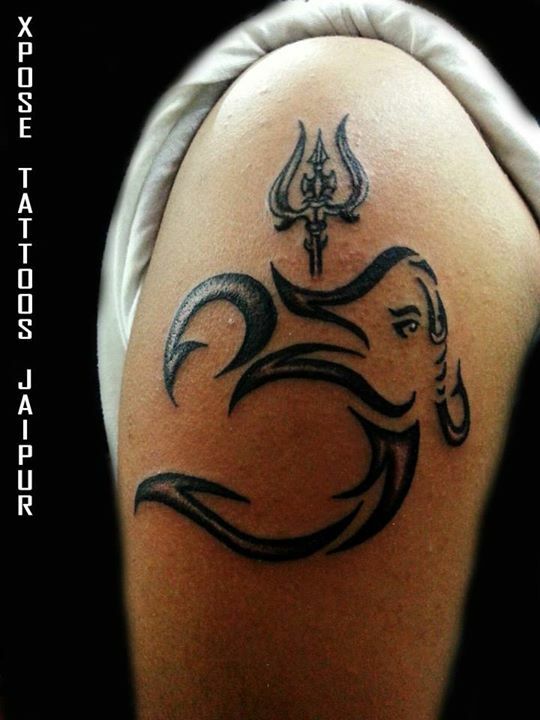 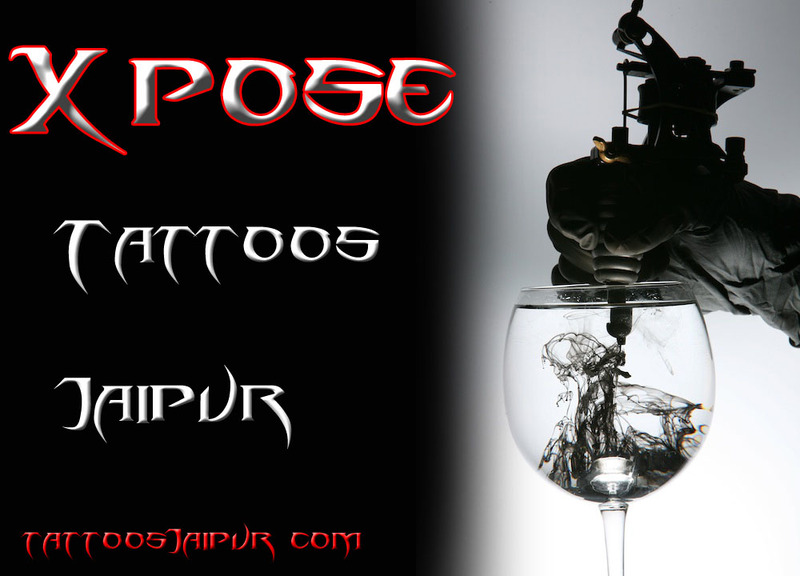 Welcome to Xpose Tattoos Jaipur, one of the Best Tattoo Shop in India. 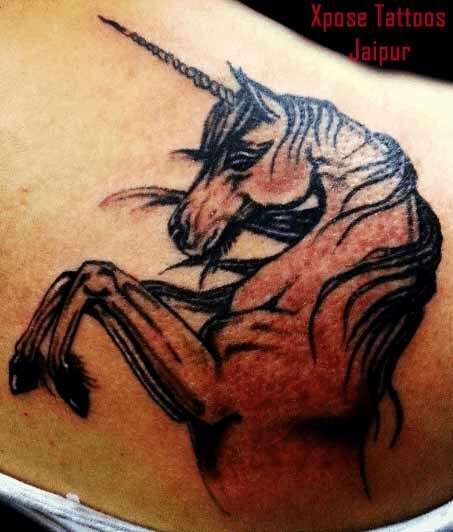 Client came with an old amateur Lion Tattoo from some other Tattoo Studio in Jaipur, Xpose Tattoos Jaipur’s Tattoo Artist Sunil did this excellent cover up with a new Lion Tattoo. It took 7-8 hours in the making and covering up of old Tattoo. 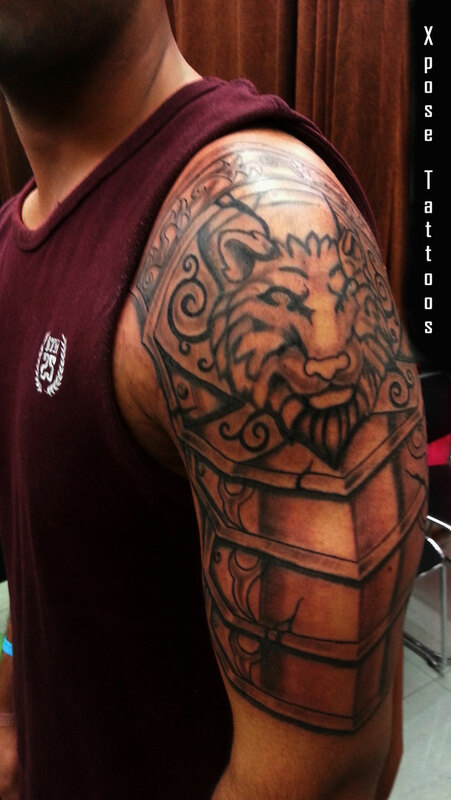 Lion Tattoo is a symbol of Nobility, Power, Honour and Strength. 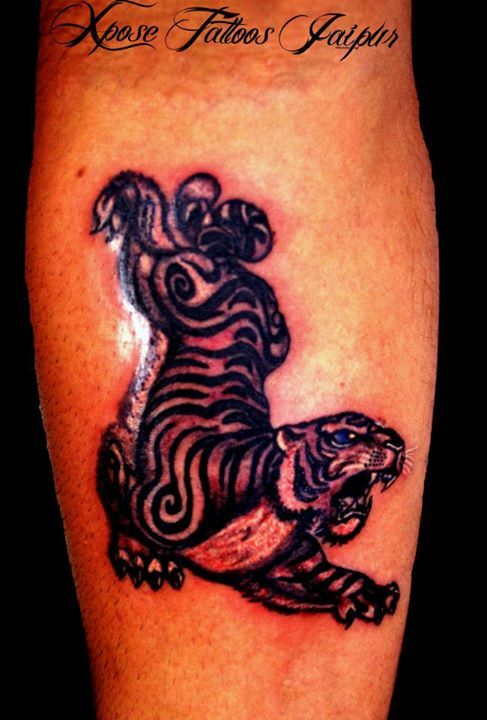 Some Lion Tattoos are portrayed as calm and peaceful whereas others are ferocious roaring and baring their teeth. 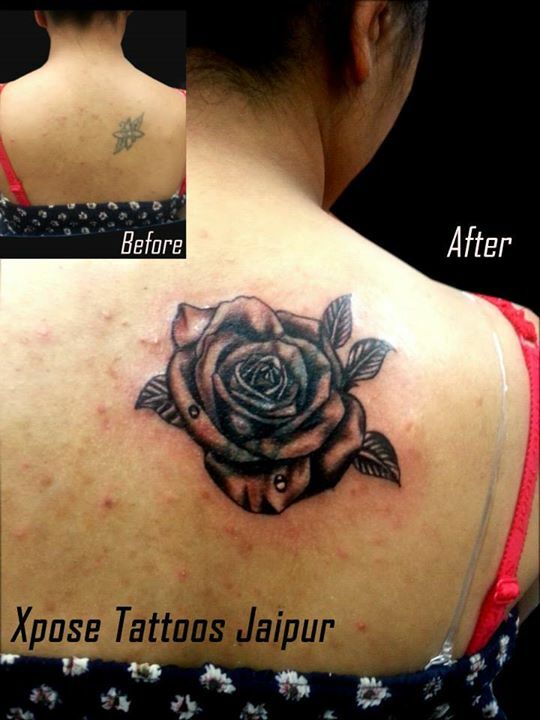 Many times people come to us with their old crooked Tattoo to get them repaired and we feel obliged to work for them and help them cherish their new Tattoo forever. 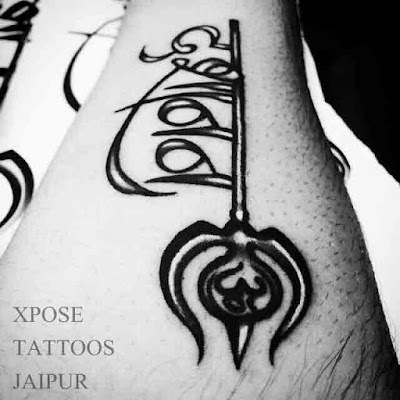 Mandala Tattoo done by Tattoo Artist Sunil at Xpose Tattoos Jaipur. 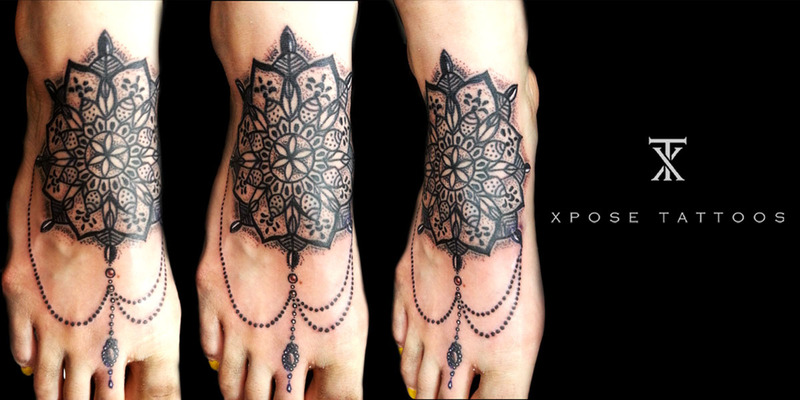 Sydney (client's name) from Canada got this Mandala Tattoo during her tour to India. 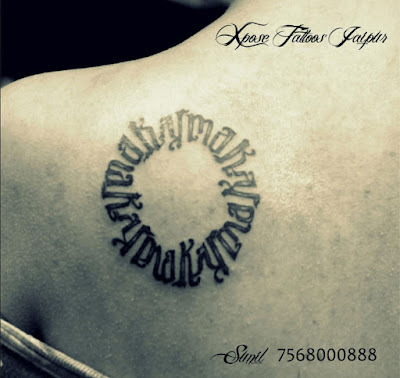 She wanted a simple mandala Tattoo, Xpose Tattoos Jaipur's Tattoo Artist Sunil designed this beautiful mandala Tattoo which included beautiful beads design for her. 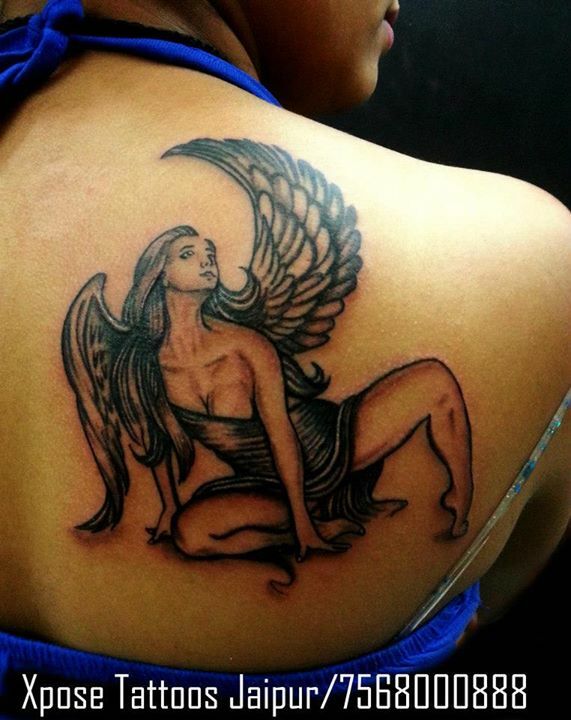 When the tattoo was finished, Sydney was very happy with the work and she exclaimed it is better than she imagined. 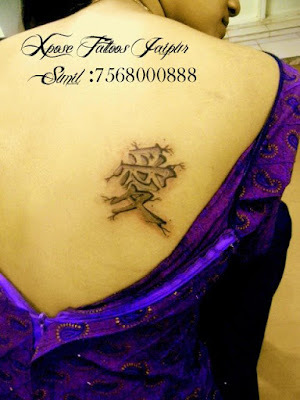 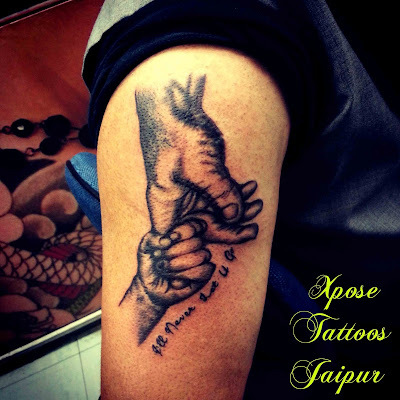 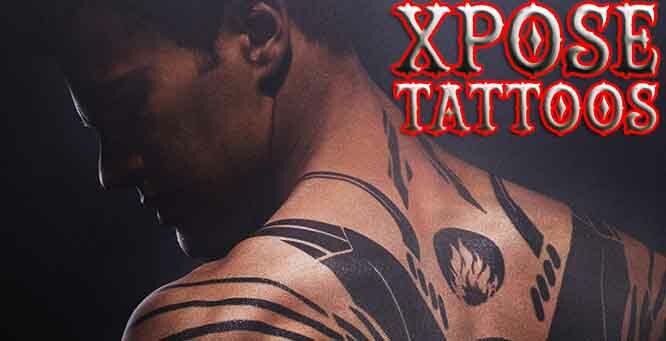 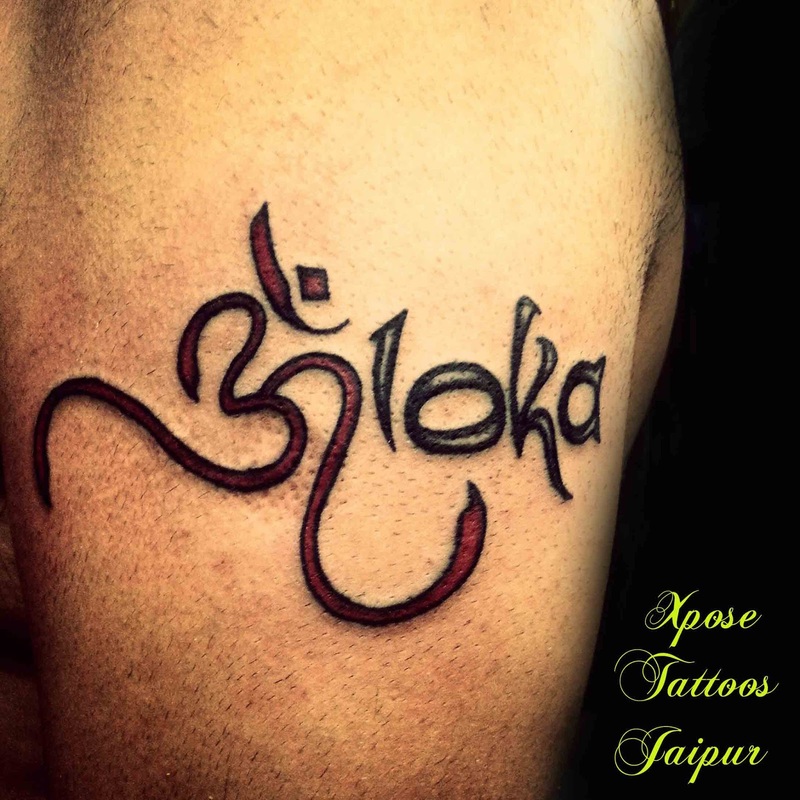 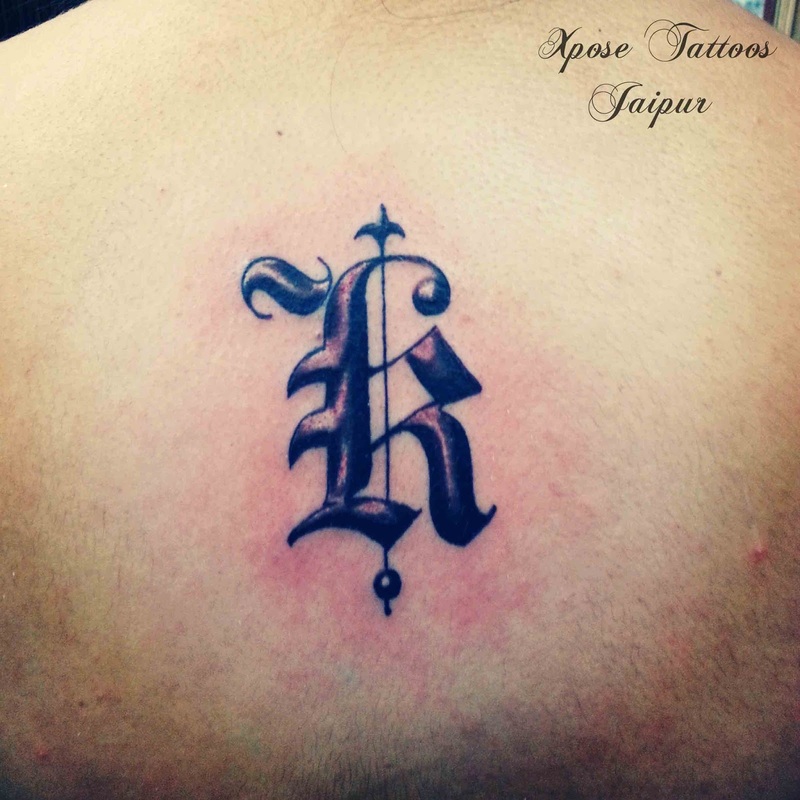 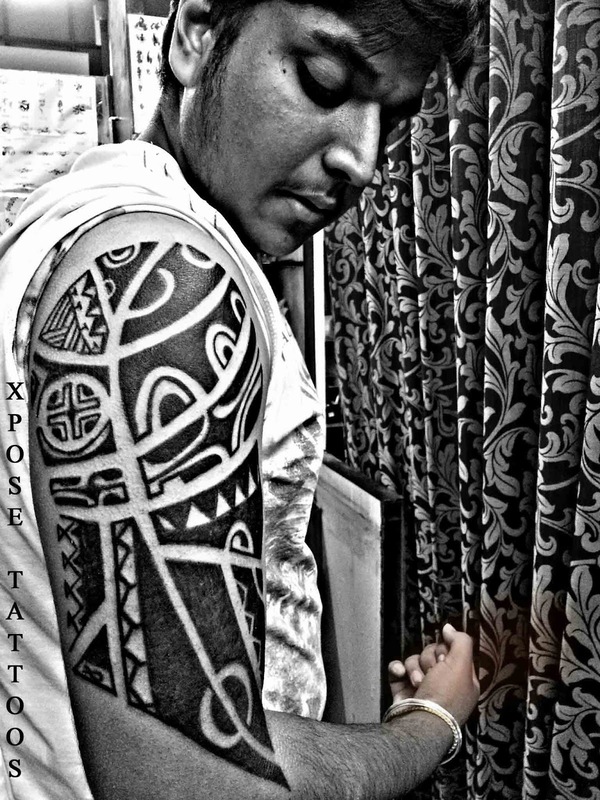 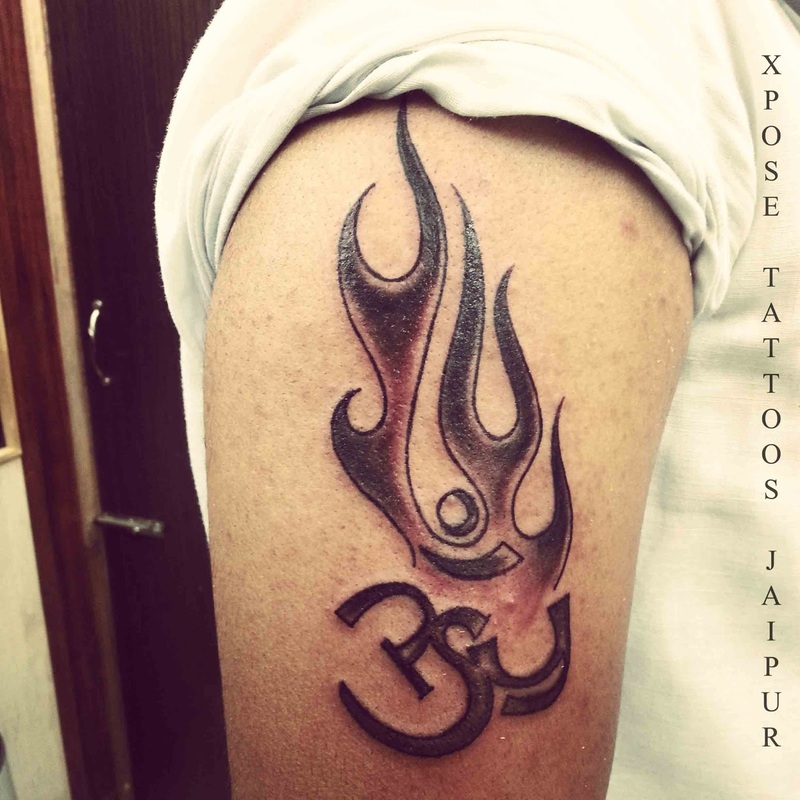 Xpose Tattoos Jaipur provides best Tattoos In India. 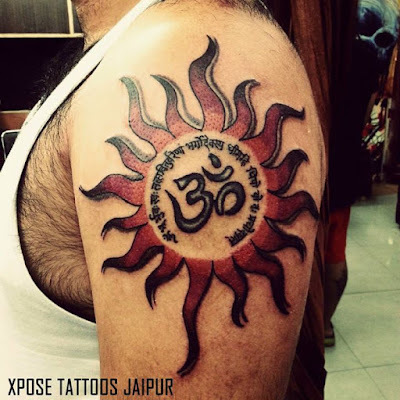 A mandala is a sanskrit word meaning "circle"and is a spiritual and religious symbol in Indian religions. It represents the whole Universe. 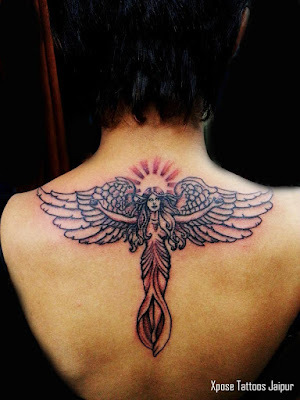 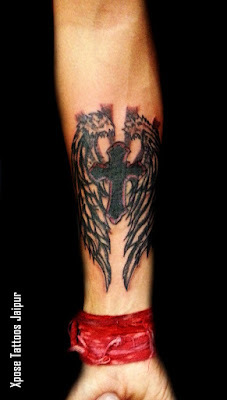 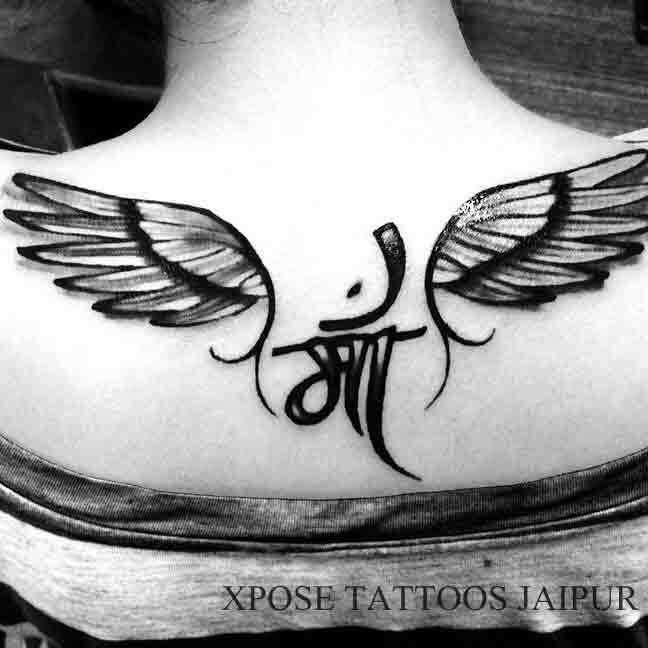 Angel Tattoo with wings on back by Xpose Tattoos Jaipur. 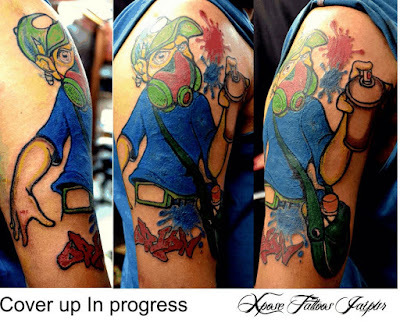 This blogpost is an update to last blog post .